1) Navigate to http://www.autodesk.com/products/recap/overview or search Autodesk Recap in google. 2) If unfamiliar with ReCap, you can find some background information on this website. 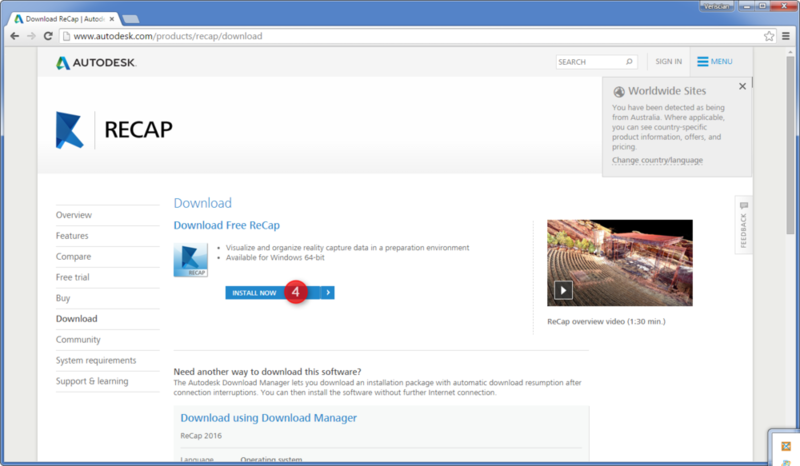 3) Select "Download" to navigate to the download page.